Since EU forums are usualy empty i did come to us forums seeking some help. When i first played the game (in december it worked perfectly fine on low, stable 40-50 fps on 1366x768, now to make it playable i use everything on super low even resolution scale is on 50% and i use 1240x720. The strange thing i dont unsertand is why i have those masive fps drops. It work on around 90-120 fps depending on map with those settings but hell, i have some drops under 10 fps. I have all my drivers up to date, tested my conection is all fine, i dont have almost anything else installed on it, just hots, starcraft 2, diablo 3, hearthstone and bsplayer (sometimes i install discord). I did disabled superfectch and cortana, and i do disable real time protection (this thing is keeping my hdd at 100% while its on). Anny sugestion (and please dont get spamm me with get a better pc/laptop upgrade). Edit: my battlenet launcher is in other partition than the game install folder (i use c for windows and programs e for games and f for media) could this be the problem? I do start most games witchout launcher, i use the launcher just to keep them up to date. Disable the Game PVR function in Windows. Edit: also switch power profile to high performance, just noticed you’re on a laptop. I find this far from true, the European forums have some great forum MVPs and Blizzard Support agents in their technical support forum. Always remember that it is impractical for every post to be immediately responded to so sometimes you do have to bump to get attention. Unzip the WinMTR.zip file to the Desktop. Open the WinMTR folder and select the 32 or 64 bit version. Choose whichever one corresponds to your version of Windows. Type the IP address you want to trace in the “Host” field. 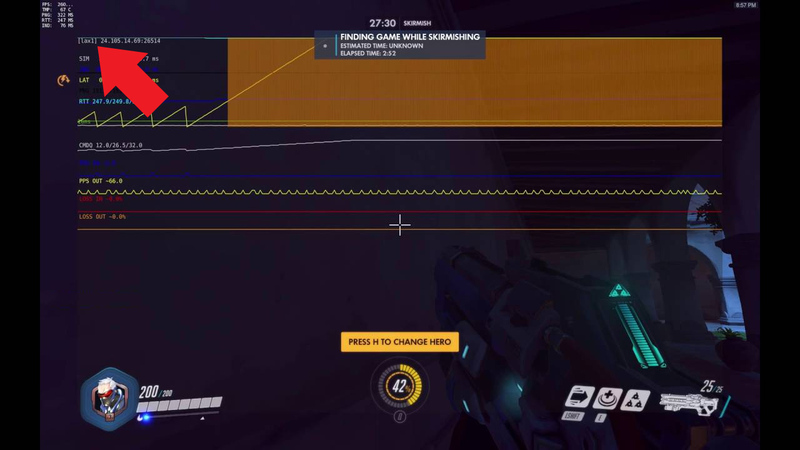 To get the correct IP you will actually need to open up the game and go Practice Vs AI or Quick Play and if you are on PC hit Ctrl+Shift+N and it will bring up the ingame network diagnostic graph, or go to Video > Options > Display Network Performance Graph if you are on any platform including Console. In the top left corner is the IP address you want to run WinMTR to. Once you notice the connection issue while playing, play for about 6 more minutes, minimize the game and click on “Stop”. Click on “Copy text to clipboard”, then return to this forum thread.